When the time comes to replace the windows of your Brampton home, you will be faced with many decisions. Should you choose something modern like brand new aluminum windows? Or perhaps you should go with a more conventional option like bay windows, or even wooden window frames with a more traditional feel? When making your decisions, you have to think about cost and how your windows will perform with regard to energy efficiency. 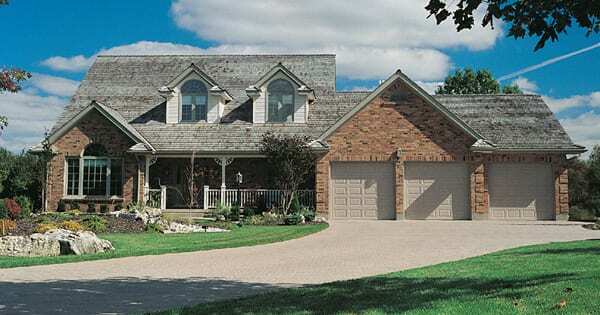 Consider vinyl replacement windows from Brock Doors and Windows. You will have a fantastic array of styles, textures, sizes and colors to choose from. Whether you prefer slider windows or the more traditional casement style, Brock Doors and Windows has the options you need. When you decide to go with Brock, your choices are practically limitless! 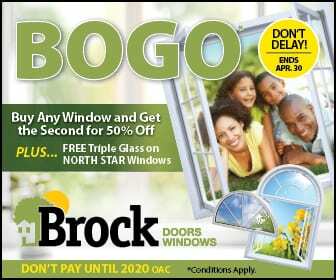 Read on to discover what Brock Doors and Windows can do for you and your Brampton home. Did you know that vinyl replacement windows cost less than any other type of material? Yes, vinyl replacement windows are incredibly affordable, making them a fantastic option if you want to save money on your home improvement project. In addition, vinyl windows will last longer and provide your home with better performance than most other comparable windows of other materials. The process of manufacturing vinyl windows is streamlined by new technologies which help to maintain these lower costs. Cost aside, vinyl replacement windows have an array of other benefits to consider. Unlike older units, modern vinyl replacement windows will not discolor or warp under extreme heat and other weather conditions. This is good news if, like most homeowners, you are looking to make your new windows a long term investment. Another advantage to vinyl windows are their minimal maintenance requirements. Unlike wood, and other window frame materials, vinyl windows will never require re-staining or re-painting. In addition, vinyl windows have many valuable properties, such as being weather resistant and impervious to mold, rot, fading, insects and many other things. Vinyl windows from Brock Doors and Windows will stay looking sparkling new with a simple wipe-down with soap and water. Finally, did you know that vinyl replacement windows can increase the resale value of your Brampton home? That’s right. When you install brand new vinyl replacement windows in Brampton, ON, it can significantly increase your home’s curb appeal. This can raise your home’s market value if you plan to resell your home in the future. If you feel that your Brampton home could use a makeover, vinyl replacement windows from Brock Doors and Windows are the perfect solution for you. Give us a call today to schedule your free consultation. We can’t wait to hear from you!